Cloud market is just getting hotter and more unpredictable. There is a lot of momentum in the Enterprise as well as startup space. Below are my top cloud predictions for 2014. This first prediction is a bold one. But imagine you are senior management at Intel, and you realize that only a handful of giants like Amazon, Google, Microsoft are now buying a good chunk of your CPUs. Rather than buying CPUs most companies are now directly using cloud services provided by public cloud companies. Imagine the leverage these three has over Intel. If Amazon, Google and Microsoft collectively decide to move to their entire cloud infrastructure to AMD, what will happen to Intel stock? Surely Intel is realizing that cloud is where computing’s future lies; a future were companies will no longer buy a bulk of CPUs directly. Another interesting acquisition is of network security company Stonesoft. The company providing public cloud offering bears the responsibility of providing infrastructure security. As Intel has almost no experience in hosted applications space, it lacks in providing infrastructure security for any cloud offering. I suspect the move of buying Stonesoft was to beef-up their credentials in providing network security to their future public cloud offering. So there are a lot of subtle signs that points to a pubic cloud offering brewing inside Intel. 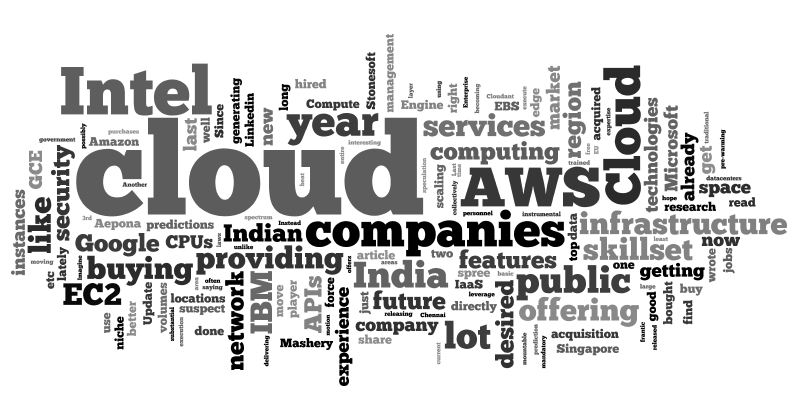 AWS is the undoubted king in the public cloud world. It is innovating and releasing new services at a frantic pace. But unfortunately it has stopped improving its core services like EC2. Users has been asking for some very basic features for a very long time, like EBS volumes mountable on multiple EC2 instances, vertical scaling of EC2 instances without reboot, scaling EBS volumes at runtime, etc. Instead of investing energy on these, AWS has been busy with launching new services. It could very well be that Google Compute Engine will come up with better features than EC2 this year. We hope that competition form GCE will finally force AWS to better their current offerings at the execution layer (EC2/EBS/ELB). Update: Since I wrote this article, GCE already launched many great features like load balancers not requiring pre-warming, getting discount for long usage (unlike AWS where you have to buy reserved instances), etc. This this is already in motion. Last year, Cloud was the 3rd most desired skillset to get hired in the list released by Linkedin. 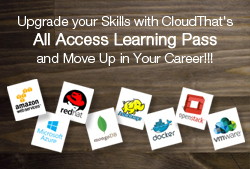 This year, Cloud will be THE MOST desired skillset. Organizations, small and large are moving to Cloud and it is increasingly becoming harder for companies to find talent with right skillset in cloud technologies. A lot of companies are getting their employees trained in the cloud technologies. In this year’s research, experience with cloud technologies will be the most desired skillset. Already research done by IDC and sponsored by Microsoft says there will be 7 million cloud related jobs by 2015. Thats a lot of jobs and lots of open positions. In my casual interactions with people with cloud computing skills, I often hear them saying that they get at least two job inquiries from their Linkedin resume with experience in cloud. Also read here why AWS certification is the best one to attain in the market right now. IBM’s top management will be a very worried bunch. In the last Gartner Magic Quadrant for IaaS provides, IBM was relegated to a niche player with no completeness of vision or ability to execute (read more about that in blog post here). IBM has been on a buying spree lately and last year it bought SoftLayer, Trusteer, The Now Factory, and more. This year, it will have to integrate the purchases done last year, but if it wants to be a serious player in IaaS space, it will have to further acquire players with niche in this area, as it has not produced anything substantial lately in this field. Update: Since I wrote the article, IBM also acquired Cloudant, which is Database as a Service product. Ideally it would have been fine for AWS to just have Singapore region and users in India use Singapore with two edge locations in Mumbai and Chennai. But there is a lot of speculation that Indian government will pass data privacy laws similar to EU, where data from Indian customers has to be stored physically on Indian soil (maybe after the general elections). This will force companies who want to use public cloud to find providers with datacenters in India. 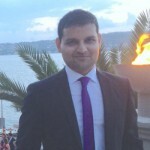 AWS will have to possibly have a region in India or they might loose the growing Indian IT market. They already started by having edge locations in India, and a new region in China was recently announced. Is India next? Please share your thoughts about the predictions below and feel free to share it.